Address: 105 E. Orange Ave., Daytona Beach, Fla. 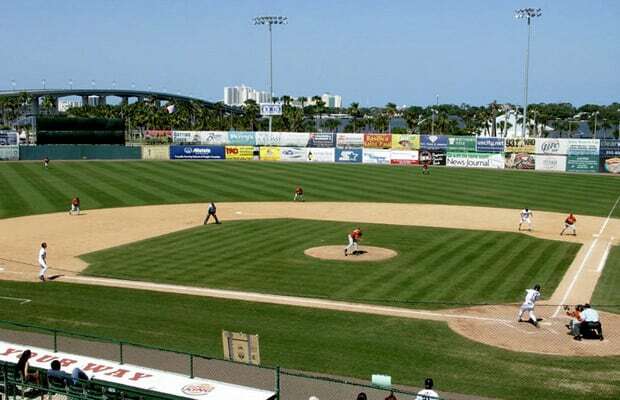 Fact: This ballpark greatly contributed to the legendary Jackie Robinson breaking the color barrier. See, in 1946, Robinson played in a minor league game here, a game that just so happened to be the first racially integrated one in modern baseball history. A year later, he moved to the majors. For this, the stadium took on Robinson's name in the late '80s, and also erected a statue of the baseball badass at the south entrance. Don't for a second think that minor league stadiums don't make history.